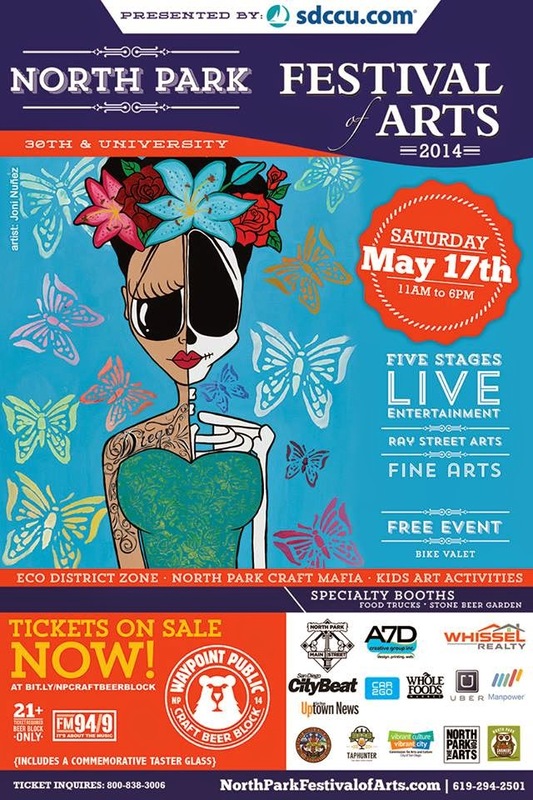 Spend the day with your family and friends exploring the historic North Park neighborhood at the 18th Annual North Park Festival of the Arts, presented by San Diego County Credit Union on Saturday, May 17 from 11am to 6pm on University Avenue between 30th and 32nd Street. This free festival includes an experiential and interactive art area with local artists and galleries, unique vendor booths, food trucks, and five live music stages with performances from local and regional bands and dance groups. Being on the forefront of the art scene, the North Park Festival of the Arts celebrates all types of art forms. There will be something for everyone including the kids, with the Hands-On Arts area offering children the chance to participate in free activities designed to stimulate and inspire their imaginations to create their own masterpieces. There will be a beer garden with a live music stage, a Plein air art competition, and a juried arts section with local artists showing and selling all forms of art. Festival goers should come thirsty to the Craft Beer Block sponsored by Waypoint Public and FM 94.9 radio. The art of craft beer will be highlighted with over 30 of San Diego’s and the local region’s favorite breweries along with an opportunity to purchase snacks and sing karaoke on the Red Wing Karaoke Stage. FM 94.9 will be broadcasting live and playing tunes all day long! General admission tickets are on sale now for $30, online only, and tickets will NOT be available at the door. Last year was a sell out! A $55 VIP ticket is also available, which will give ticket holders early entrance, access to rare beer and gift bag along with a $10 Uber code for use that day. This year the Festival will also be integrating a sustainability component In order to sustain and promote alternative transportation, green business practices and use of environmentally friendly products. Events leading up to the event will include bike share demonstrations, car2Go presentations and a Q &A event with some of San Diego’s leading experts in sustainability. Mark your calendars to come experience a day where music meets art at this year’s 18th Annual North Park Festival of Arts! All proceeds benefit North Park Main Street, the non-profit organization committed to the revitalization of the North Park Business Improvement District. 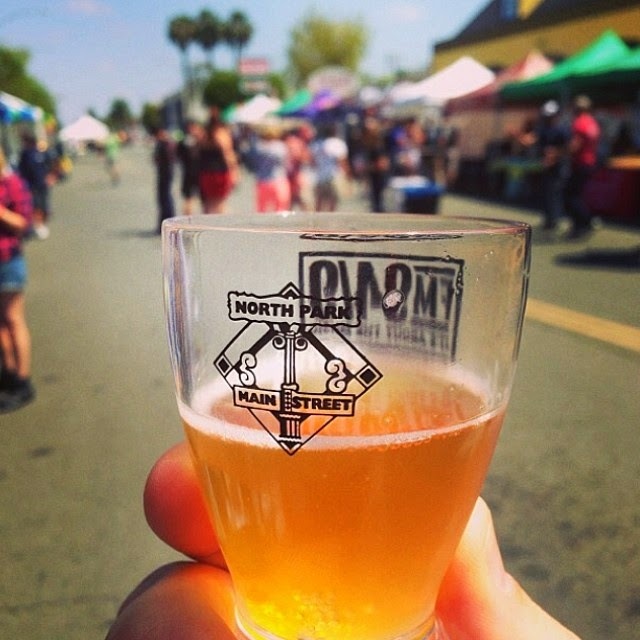 To learn more about this event or to purchase tickets to the Craft Beer Block, please visit northparkfestivalofarts.com or call North Park Main Street at (619) 294-2501.